Kalinchowk, a perfect destination for a short trek in Nepal can be done within 3 days. It is a Village Development Committee VDC of Dolakha District in Janakpur Zone in North Eastern Nepal. It receives thousands of pilgrimage and trekkers in a year. It is also one of the quickest access to the elevation of 3790m from Kathmandu via land transport. 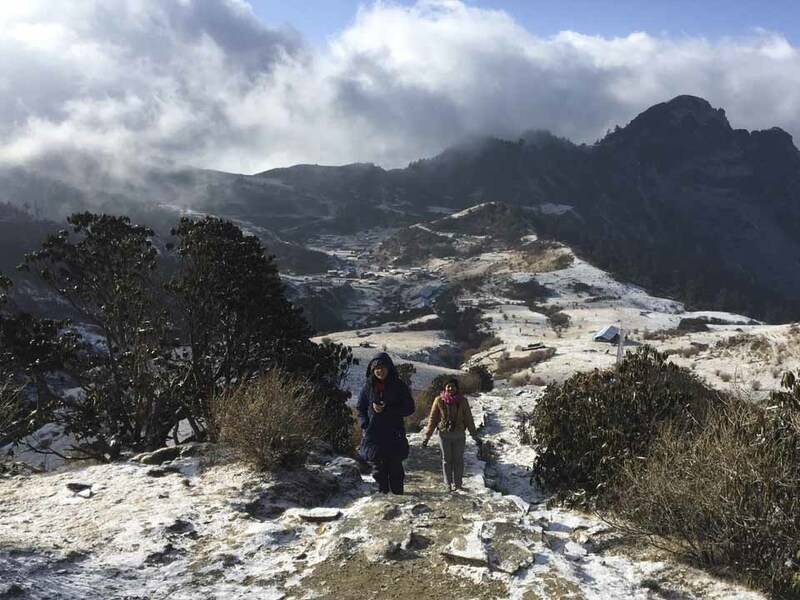 The tremendous panoramic view of Himalayas from Kalinchowk, the pilgrimage site for Hindus (Kalinchowk Bhagwati) as well as for Buddhist, the unexplored culture, lifestyle and diversities is the attraction of a Kalinchowk trek in Nepal. It can be visited in any season during a year. 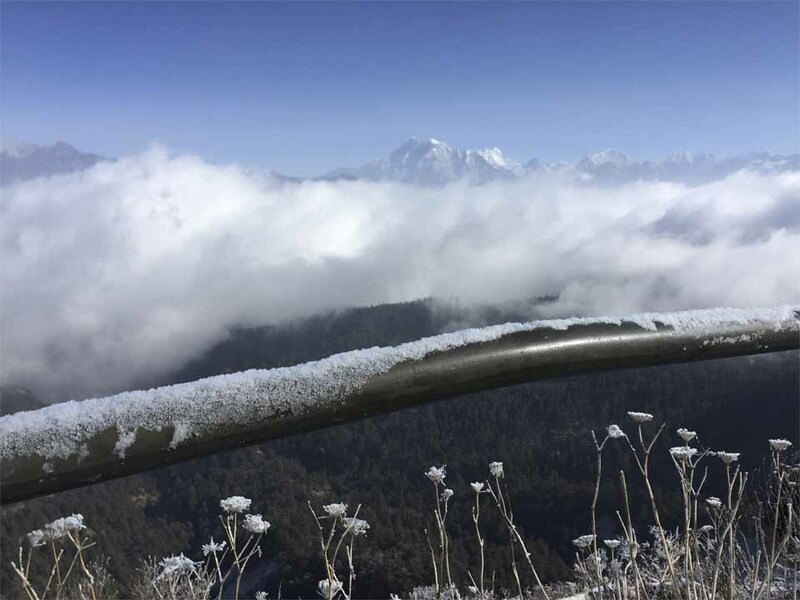 From the summit of Kalinchowk , you can enjoy the splendid superb view of Langtang Himal, Ganesh Himal, Shisha Pangma, Dorje Lakpa, Jugal Himal, Gauri Shankar etc. and can even see the Kathmandu valley in a clear day. To trek to Kalinchowk you can either catch a local bus or rent a vehicle or drive your own vehicle from Kathmandu to Charikot which is approximately about 150km. The drive from Kathmandu to Charikot is very beautiful 4 hours drive passing through a rivers, stream, hills, mountain, etc. On the way, you can stop at KhareDhunga to enjoy cool breeze and enjoy panoramic view from there. After reaching at Charikot, it is about 5-6 hours hike to kuri through a beautiful forest encountering a number of wild flora and fauna. There is also a gravel road to Kure from Charikot but the road is extremely technical and challenging especially during monsoon. Kuri is a small village with settlement of lodges to accommodate the tourist, which is right below the Kalinchowk hill. Your destination is just an hour hike from Kuri. Once you make it to Kuri, you can visit Kalinchowk hill summit (3790m.) in the following morning to see the beautiful sunrise from the summit. The Hindu people worship at Kalinchowk Bhagwati with great devote. At the day of Janai Purnima festival, thousand of devotees visit Kalinchowk Bhagwati for puja. Arrival in Kathmandu - You will be warm welcome at airport by NEAT Airport representative and then you will be transfer to hotel. Our tour advisor will meet you at your hotel and brief about your program. This day, either you can take a rest at the hotel or enjoy the walk near by your hotel to get familiar with Nepalese lifestyle and culture. 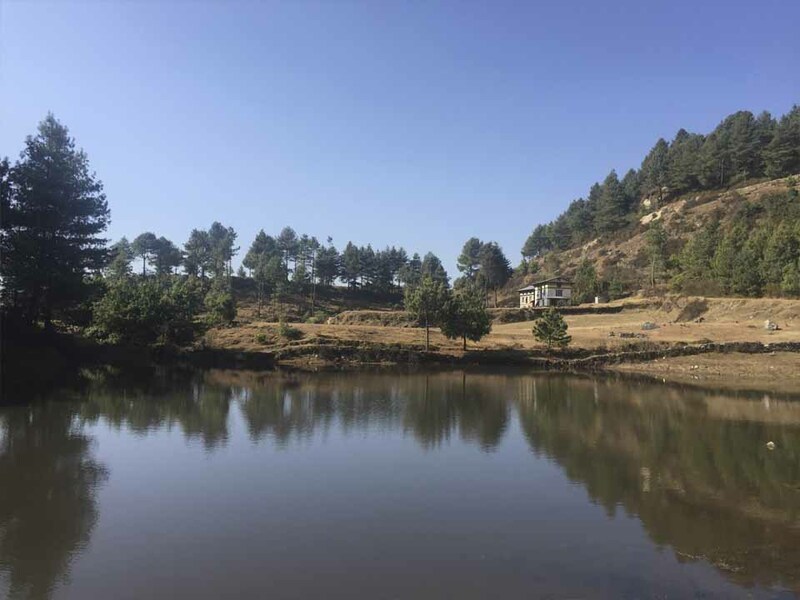 Drive from Kathmandu to Charikot and then hike to Kuri: Drive to Charikot (150km) and takes about 4 hours drive to the north eastern from Kathmandu. Lunch at Mude. From Charikot, trek to Kuri which takes about 5-6 hours walk. Overnight at lodge in Kuri. After the breakfast, hike to Kalinchowk summit (3790m.) which is about 1hours up hill hike to enjoy the superb view of Himalayas. Overnight at Kuri (optional). After the breakfast, trek to Charikot and drive back to Kathmandu. Departure Day/ Leisure Day – You can enjoy leisure day at Kathmandu or if you are departing for home then will drove you to the International airport to catch your flight back to your home. If you are departing for other destination, we will help you to manage everything. It would be easy for you if you have your own group if not also we can arrange a group trek according to your request. You would be joining the group in Kathmandu. If you want to have a solo trip then we are always ready to help you again with single supplement charge. We try our best to make your comfortable holiday in the beauty of Kalinchowk Region. Climate in Nepal is diversified depends on season. From the low level to highest point of the World, it start from hot to cold region from South to North. You can travel Nepal in any season but the best time to visit in Kalinchowk region is autumn & spring. If you are in autumn the weather is perfect and sky is crystal clear but in spring the weather seem little cloudy but the full blossoming Rhododendrons are awesome. In Summer visibility is poor and there is less chances to see the himalayas and in winter it is very cold in mountain but still possible to do this trip. While you travel Kalinchowk Region, you need to obtain the entry permits and TIMS permit. All the applicable permits and entry fees are including on the given cost except personal contribution and donations. In case of extra charge and payment, the agency will inform you. NEAT is highly aware with Environmental concern and keep right ecological system. There shouldn’t be awful impact while you travel around the Kalinchowk Region. So, we involve some campaign of cleaning trekking trails, works with KEEP project etc.